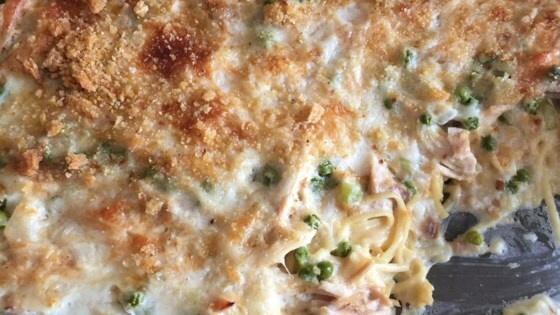 "This is an easy recipe for turkey tetrazzini. Cook time may vary depending upon how soupy or thick you prefer the sauce." Melt butter in a medium saucepan over medium heat. Stir in flour. Mix in chicken broth and milk. Cook and stir until the mixture comes to a boil. Stir in about 1 1/3 cups Parmesan cheese, and remove from heat. This was very good. I only baked for 40 minutes and that was plenty. Also, I added a thin layer of bread crumbs on top. My family all rated this a 5 star! !